From prize-winning, bestselling author Colson Whitehead, a magnificent tour de force chronicling a young slave's adventures as she makes a desperate bid for freedom in the antebellum. South Cora is a slave on a cotton plantation in Georgia. Life is hell for all the slaves, but especially bad for Cora; an outcast even among her fellow Africans, she is coming into womanhood—where even greater pain awaits. When Caesar, a recent arrival from Virginia, tells her about the Underground Railroad, they decide to take a terrifying risk and escape. Matters do not go as planned—Cora kills a young white boy who tries to capture her. Though they manage to find a station and head north, they are being hunted. Like the protagonist of Gulliver’s Travels, Cora encounters different worlds at each stage of her journey—hers is an odyssey through time as well as space. 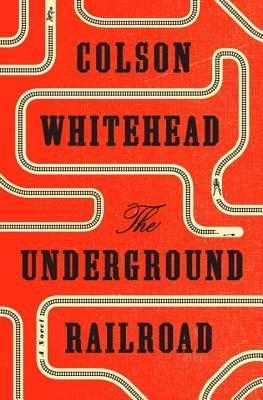 As Whitehead brilliantly re-creates the unique terrors for black people in the pre–Civil War era, his narrative seamlessly weaves the saga of America from the brutal importation of Africans to the unfulfilled promises of the present day.